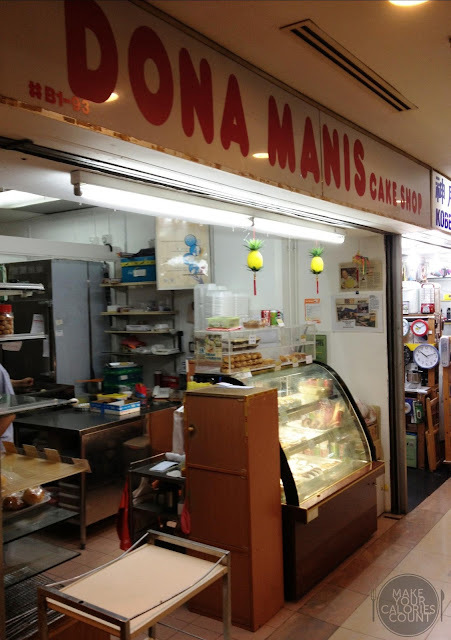 [SG] Dona Manis Cake Shop - Banana Pie! 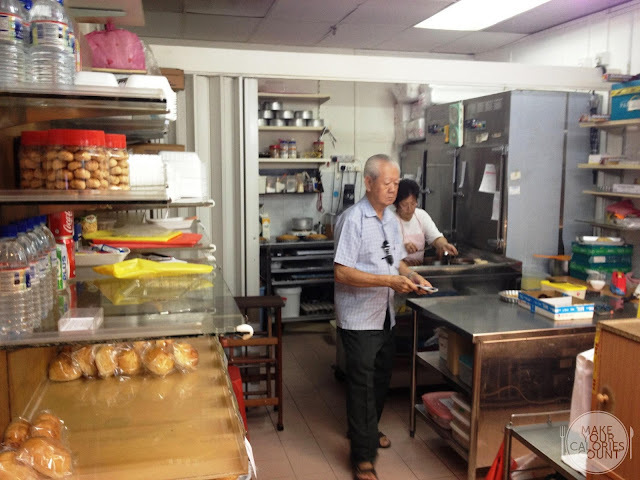 Having been a regular patron of this inconspicuous looking bakery for more than a decade, there is always a familiar nostalgic feeling when I revisit this quiet corner at the basement of Katong Shopping Centre. Strangely enough, this bakery famous for their freshly baked banana pies is always the first food place at the back of my head when I get asked 'What to eat at Katong area huh?'. 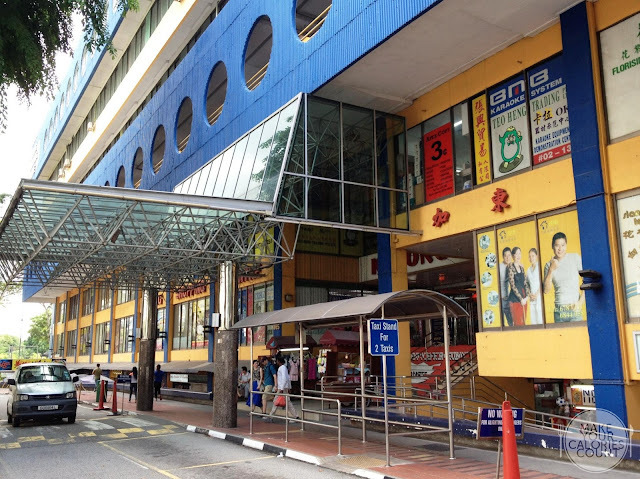 It might take some finding around within the once illustrious shopping centre which had now transformed into pretty much a mall that houses at least 30-40 domestic worker agencies. The good thing is, once you smell that beautiful intoxicating aroma of buttery pastry baking in the oven, you know you have found gourmet heaven! 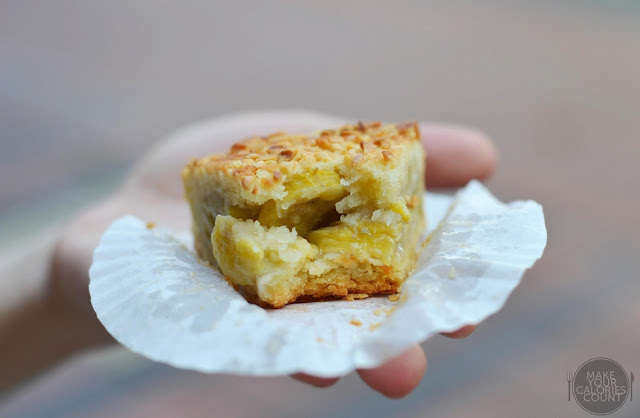 This wedge of banana pie tastes so good that it kept me coming back over the years. Topped with a generous layer of diced almonds, it added a good crisp crunchy texture to the bite. The pastry chef prided herself with the use of good quality butter and remarked that margarine was not fragrant enough to deliver the desired aroma. Baked to perfection with a golden brown crust, the pastry was flaky yet not excessively greasy. It simply crumbled in our mouths with a rich satisfying taste of butter. Sandwiched between the beautiful pastry was the 'to-die-for' banana fillings. 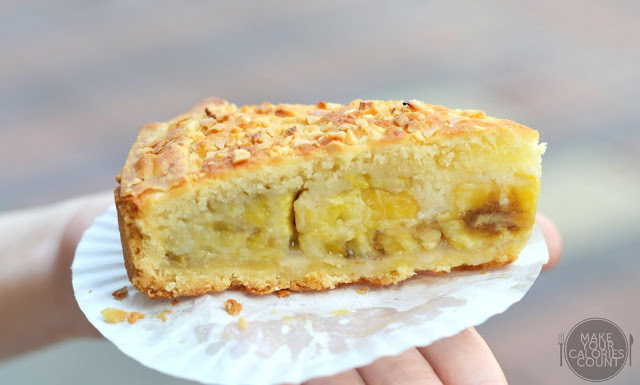 The banana slices were evenly portioned and stacked uniformly across the entire pie and for those with a prissy palate would notice fresh shredded coconut and cream being added into the soft filling to enhance the flavours though these elements serve to complement rather than overwhelm. The prices had gone up considerably over the years (I recall buying them for around S$1.50/slice) but then again so has inflation. Definitely a MUST-TRY. There was also the peach pie apart from banana and apple, which came with sliced peaches on the top. Not quite a fan of peach desserts for some reason, I went for a wedge of the apple pie to reminisce the flavours. 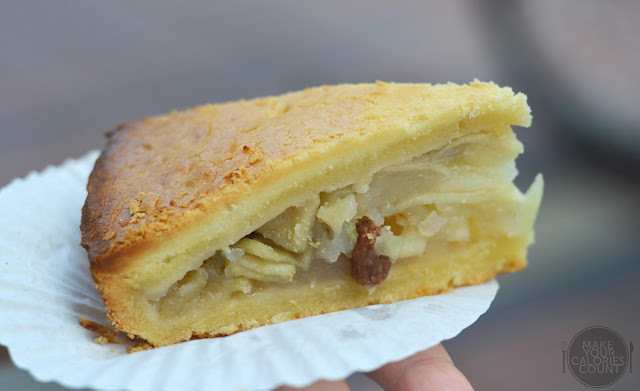 The lovely pastry crust was similar to that of the banana pie and while we enjoyed the mild natural sweetness owed from the apple fruit, it seemed a little too bland having just tried the flavoursome banana pie. The tastes of the cinnamon and raisin were subtle in bringing the flavours forward so overall while the pie tasted good, it was not bold enough in terms of the taste and flavour for us. Label me a confectionery traditionalist, but I believe good pastry and bread should be prepared and baked with heart. It is this extra touch that spells all the difference even if you are using premium ingredients. This humble eatery has always struck me as a friendly-go-to hideout that has no need for elaborate commercialization but yet continues to strive with its regular stream of patrons. 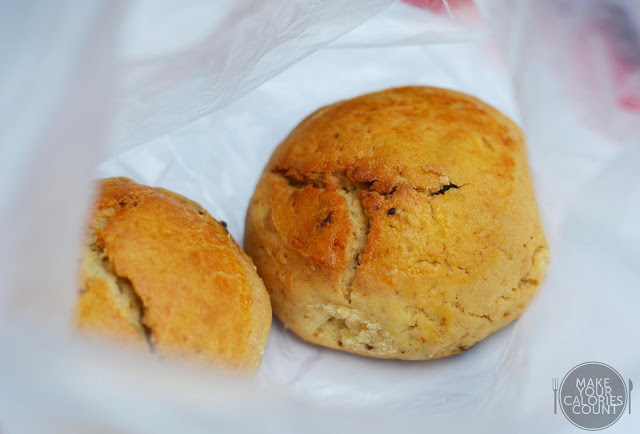 There is also a limited range of bread being offered, each individually packed for hygiene purposes and other wares such as the rum balls and curry puffs are also worthy tries. It is however the banana pie that had always been the winner for us. Being constantly living away from Singapore over the years, this is one of my few MUST-RETURN places whenever I am back home. I thought it might be easier for me to post a photo of the shopping centre where it is located at Basement 1 level for this is definitely not one of those hype places in the makan-radar of most foodies. Last but not least, do call to check if you intend to visit this rare gem near closing hours! Would be a real shame to visit and leave not having tried their banana pie!